Story : Cho Gwan Woong (Lee Sung Jae) who was born the lowest of class and was looked down upon by the people, managed to turn his desperate life around after getting first place in the military scholar exams. Blinded by his ambitions and greed for power, he caused the death of Minister Yoon and brought downfall to the Yoon family when he falsely accused them of treason. Yoon Seo Hwa (Lee Yeon Hee) who was sold as a gisaeng to Chun Hwa Gwan, escapes with the help of Chun Soo Ryun (Jung Hye Young) and her maid (Kim Bo Mi) when she learns that her enemy, Gwan Woong has his eyes on her. Seo Hwa & the guardian god of Jiri mountains, Gu Wal Ryung (Choi Jin Hyuk) met and fell in love when she ran to hide out in the mountains but Gwan Woong soon catches wind of her whereabouts and comes hunting for her once again. Feeling unable to raise her son while escaping along with the fact that Wal Ryung has disappeared as well, she sent him down the river in basket hoping that someone could take him in. Meanwhile, Wal Ryung who has lost all his memories began to serve under his enemies as their underling. The only thing that will make the normally amnesiac expressionless Wal Ryung goes in frenzy is whenever he gets to hear Seo Hwa's name. Choi Kang Chi who grew up with the Park family after he was picked up from river by Park Moo Sol (Uhm HoSub), the father of Park Kyung Jo (Lee Yoo Bi) and Park Tae Soo (Yoon Yeon Seok). Although Park Tae Soo used to treat him like a brother when they were younger, he started to feel a strong hatred towards Kang Chi when he misunderstood that Kang Chi is the main cause of the downfall of his family while Park Kyung Jo who always looked on him began to make use of Kang Chi to pave her way back to the noble status that her family once held after she was sold as a gisaeng to Chun Hwa Gwan and fate leads Kang Chi to meet up with Chun Soo Ryun, the head Gisaeng twenty years later after she encountered his mother. Dam Yeo Wool (Bae Suzy), the daughter of Kang Chi and Tae Soo's teacher is one of the instructors of the martial arts school and despite her young age, Yeo Wool is highly skilled in archery. Although the cross-dressing Yeo Wool is always clashing with Kang Chi because of their different personalities, they find themselves falling for each other as they got to know each other better. Kang Chi soon discovers that he is actually a half-man and half-beast when his special abilities began to show after he goes after some criminals and to become a full human, he needs to find the Gu family's book to find the way to become one. When Kang Chi sets off on journey to seek his humanity, he ended up confronting his greatest enemy of his life, his father who never aged nor knew about his existence. 02.Do not post request for Subs. Do not request for Vids either. Just dled from what the other soompiers provide you. Do not request of translations of any kind, as translations are done by our fellow soompiers' free will. Use the online google translator. http://translate.google.com if you want to read the basic translations of any news in korean. Anyone who posts these kind of requests, spam or break any of soompi forum rules will be reported to the mods immediately without any warning given. 03.Do not steal any download links from AJA-AJA and paste them out to Soompi or another site. Go directly to the aja-aja site if you want to dl anything. 01.Due to the copyright/legal problems, no illegal streaming links will/should be posted on this thread as there had been major crackdowns going on lately. 02.The editing fuction of the forum has already been fixed so you can edit your posts instead of repeating postings thinking that you can't. 03.Any complaints about any streaming links will be counted as spam and will be reported to the mods. 04.Any complaints of the respective companies such as Viikii, youtube, Etc.. should be report to the respective companies instead of posting your complaints here. 05.Those who are caught breaking the soompi posting rules more than 5 times will have their Id/IDs reported the mods. 06.Those who are caught promoting/posting illegal streaming links with subs ( those without permission from the orginal subbers and doesn't have copyrights like Dramafever or Crunchyroll) will have their Id reported to the mods for endangering Soompi to legal issues for illegal streaming sites promotions. Lee Seung Ki will team up with PD Shin Woo Chul of drama "A Gentleman's Dignity" and make his comeback with a drama early next year. 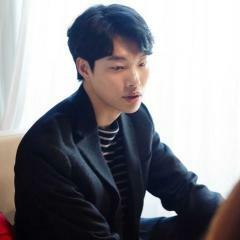 On the 18th, according to sources, Lee Seung Ki will act in drama 'Gu Ga Eui Seo' (working title) with PD Shin Woo Chul and writer Kang Eun Kyung, who wrote "Bakery King Kim Tak Gu" and "Honor of Jane". PD Shin Woo Chul and writer Kang Eun Kyung came to an agreement that the drama will be based on a half-man and half-beast. They have completed the project proposal and will begin casting and writing the script. It was also announced that Lee Seung Ki will host a new variety show program with the director of SBS "Challenge 1000 Songs", PD Seo Hye Jin, at the helm, but Lee Seung Ki plans to make a comeback with the drama. The drama looks to air on MBC early next year. LEE SEUNG GI & SUZY? class="entry-title" style="margin: 12px 0px; padding: 0px; border: 0px; outline: 0px; font-size: 1.8em; vertical-align: baseline; font-family: Arial, Helvetica, sans-serif; line-height: 1.4em; letter-spacing: -1px; "Lee Seung Gi and miss A’s Suzy to act together in drama ‘Guga Medical Book’? Rumor are floating that Lee Seung Gi and miss A‘s Suzy will be the male and female leads in the drama, ‘Guga Medical Book‘ (working title). On October 18th, entertainment representatives stated that Lee Seung Gi is confirmed for ‘Guga Medical Book’ and he will be working together with PD Shin Woo Chul, who directed ‘A Gentleman’s Dignity‘ along with writer Kang Eun Kyung who previously wrote ‘Baker King: Kim Tak Gu‘ and ‘Man of Honor‘. In ‘Guga Medical Book’, Lee Seung Gi will take on the role of a mythical figure (9 tailed fox or gumiho). This will be the first historical drama for both Lee Seung Gi and miss A’s Suzy. I love Suzy, but Lee Seung Gi??? Huaaa I'm sooo excited. Seung Gi has hinted in his latest interviews that he wants to do a beastly role for his next drama. Half-human & half-beast? I have faith that he picks a great project, as he has always been. And he always has great chemistry with all his leading ladies, so whoever his leading lady will be, I'm in. If it's Suzy, then great. Her character in BIG was so annoying but I love her in Introduction to Architecture. So if the writer can give her a good script, she'll be okay. 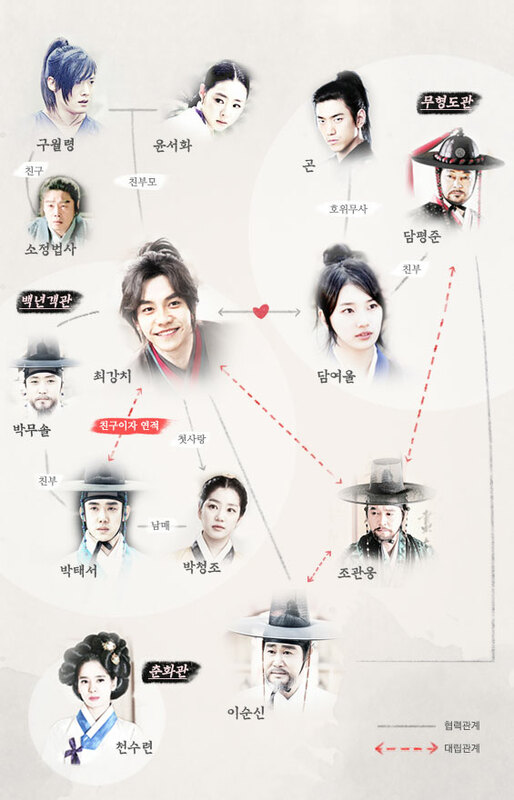 The drama is said to be a sageuk, but not traditional style genre. I’m a little weirded out by the the description tagline posted on Naver… really?! a male gumiho?! Hm, how do I feel about that? Maybe my Korean-English translation is off??? But his character is reportedly half human, half non-human, and will be new and refreshing. And did I read somewhere, supposedly, also a doctor?! *swoons* I think the working title may be a play on words of some sort.Some fansites suggest that the central relationship in the drama is more Seunggi’s character and the father, rather than his relationship with a female love interest. So, the actor playing the father would be important. Seunggi has a proven record of chemistry with female actresses so I’m not too worried about the final choice. But it is a pretty topnotch list~~~ Ha Jiwon, Shin Minah, Han Hyojoo, Moon Chaewon! Hm, did Seunggi already sign on to this drama (in his usual stealth way!) when A Gentleman’s Dignity was filming and they used ‘Will you marry me?’ in the key proposal scene in the last episode?! And there were some serious rumors that Seunggi was going to do ‘Man of Honor’ (but I’m so glad he didn’t!) There were rumors that Kang Eun Kyung was writing a new sageuk drama and early rumors that Seunggi was planning to take part. And well, turns out to have been true! As for all the press speculation about Suzy (from Miss A) joining the project…Miss A is super talented and Suzy has a really natural pretty look. I know less about her acting, but she seemed to do feisty female well in the one clip I watched of Big. Seunggi has great chemistry with all his partners (girls and guys!) so no worries. I’ll take Seunggi’s cue and wait for things to be finalized! I’m SOOOOO excited!" YES! Saeguk! Can't wait to see him do saeguk speak hahaha. I'm wondering if this will be a rom-com saeguk? Kinda like Arang?? @alysanne, ME TOO!!! Over and over again LOL. But it's a saeguk..so I guess no gratuitous shower scene? Then how? mojobobo said: @alysanne, ME TOO!!! Over and over again LOL. But it's a saeguk..so I guess no gratuitous shower scene? Then how? @alysanne, kekekeke. Seung Gi sure knows how to tempt. Half man and half beast, in a medical related saeguk...hmmmmm....can't wait for more details about the story! Pls pls pls pls pls don't do a Dr Jin and all will be good. Uwaaa. Seung Gi and Suzy? I can't wait! I just love them both so much! By the way, now that I'm seeing all these dramas scheduled for 2013, I keep wondering where 2012 went. Anybody else feel this way? Lol. @yeohweping: Oh, can we change the name of this thread to "Ancient Medical Book"? Because that's the English translation that keeps appearing in the news articles, and that's probably the title that people will know this drama for. If somebody didn't post the link to this thread in the LSG threads, I wouldn't know this was the one for the drama. Woohoo, Seunggi is back on drama! I'm still doubtful about the plot/scriptwriter as I didn't like her last 2 dramas, too makjang for my taste. But if this is what Seunggi decides on, I'm going to have faith in him. There's yet a project he chose that disappoint me, so hope this one turns out good as well! By the way, I read that his management said, his character is not a gumiho but a half-man half beast. I like the sound of the latter more heh ^^ Especially since his previous drama is already about gumiho, would have liked this one to be unrelated to it. Hope to hear more news about this! Unless MBC decides to change it's official name as this is the closest description I can find to the storyline. [옛날에 살던 집] a house of former day; one's old home. [오래 대를 이어온 집안] an old[ancient] family. [소유] ‥'s; of; belonging to. seung gi ya!!!! I miss you soooo sooo much!!! soo happy to know you are going to shoot a drama soon, pls also tell u that you wil host a variety show soon, if with kang ho dong will be daebak!! and yes, seduce me too! !